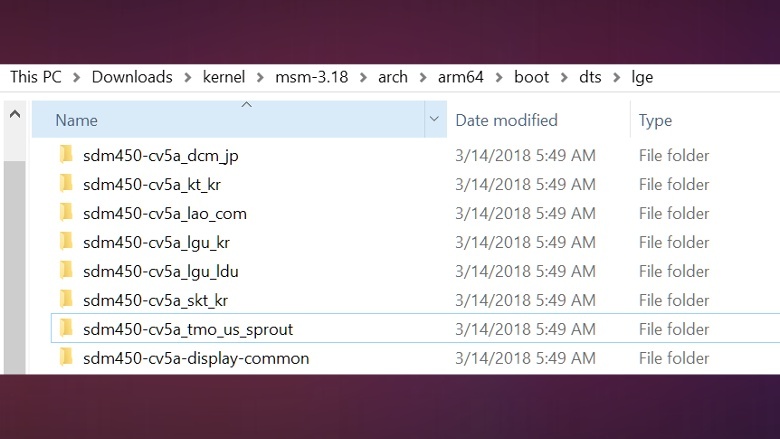 The LG Q Stylus is coming to the United States and to MetroPCS as the LG Stylo 4, but that nearly doesn’t matter anymore as developers were surprised to see LG publish the source code for the device well before launch day. A brief spelunking into the directories has turned up an unreleased Android One phone and it could be coming to MetroPCS’s parent company, T-Mobile. XDA-Developers forum member deadman96385 climbed through directories and found the new model. It will apparently run with a Snapdragon 450 (the name of the anonymized octa-core 1.8GHz processor mentioned in the Q Stylus’s spec page) on T-Mobile as well as various carriers in Japan and South Korea. There’s an identifier called “sprout” that has been associated with other Android One releases, according to the site. This new phone uses an ESS Technologies DAC as seen on the V30 and Q Stylus, lack a fingerprint sensor unlike other versions of the same device, feature a 5.5-inch full HD FullVision (2:1) display, some water resistance, USB-C and a 3,000mAh battery. We’re still waiting on further details for this new phone, but it should be noted that T-Mobile already has an Android One device in its built: the HTC U11 Life.